For the Los Angeles neighborhood, see Hancock Park, Los Angeles. Hancock Park is a city park in the Miracle Mile section of the Mid-Wilshire district, Los Angeles, California. The park's destinations include: the La Brea Tar Pits; the adjacent George C. Page Museum of La Brea Discoveries, which displays the fossils of Ice Age prehistoric mammals from the tar pits, and the Los Angeles County Museum of Art−LACMA complex. They are among the most popular tourist attractions in Los Angeles. The park has urban open spaces and landscaped areas for walking, picnicking, and other recreation. Located on Wilshire Boulevard just east of Fairfax Avenue, it extends across a large city block and around two museums. The landmark Park La Brea complex is across 6th Street on the north. The park is not within the Hancock Park neighborhood, which is approximately 1 mile (1.6 km) to the northeast. Hancock Park is the location of the La Brea Tar Pits, the George C. Page Museum of La Brea Discoveries overseen by the Natural History Museum of Los Angeles County, and the Los Angeles County Museum of Art (LACMA) campus of buildings and sculpture gardens. The 1952 Mid-century modern style Observation Pit in the park, a repository for large Ice Age fossils from throughout the tar pit area, reopened in 2014 after being closed since the mid-1990s. It is part of the Page Museum’s new Excavator Tour. The Pit 91 fossil excavation, also reopened in 2014 for excavations and public viewing, had closed in 2006 to focus on fossils newly uncovered during excavation for LACMA's new subterranean parking garage in the park's western area. The skeleton of a near-complete Columbian mammoth was among the excavated discoveries there. The Pleistocene Garden recreates the original prehistoric landscape habitats in the Hancock Park area, representing the native vegetation of the Los Angeles Basin 10,000 to 40,000 years ago. The plant list was created from 35 years of research in the Pit 91 fossil excavation. 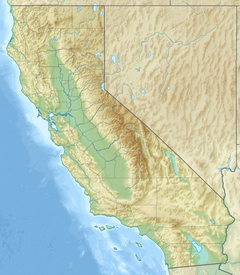 It represents four ecoregions, Coastal sage scrub, Riparian, Deep Canyon California oak woodlands, and California montane chaparral. Hancock Park was created in 1924 when George Allan Hancock donated 23 acres of the Hancock Ranch to the County of Los Angeles with the stipulation that the park be preserved and the fossils properly exhibited. The park is named for its benefactor, George Hancock, a California petroleum industry pioneer, who recognized the scientific importance of the fossils found in the asphaltic deposits. He inherited the 3,000-acre Rancho La Brea in 1883 that included the La Brea tar pits, and found animal bones when digging for oil at them. Until 1875, bones found in the asphalt deposits were considered remains of domestic stock and native mammals of the region. In that year scientist William Denton published the first mention of the occurrence of extinct fauna at Rancho La Brea. It was not until 1901 that the bones on the Hancock Ranch were thoroughly studied by William Warren Orcutt, a prominent Los Angeles geologist and petroleum pioneer. who examined bones he personally collected. Orcutt collected bones of saber-toothed cat, dire wolf, ground sloth and other fossils from the site, bringing the attention of the scientific community to the value of the La Brea Tarpits in understanding the late Pleistocene fauna and flora of North America. Orcutt eventually donated his fossil collection to John Campbell Merriam of the University of California. The park is registered as California Historical Landmark #170. The La Brea Tar Pits are a designated U.S. National Natural Landmark. 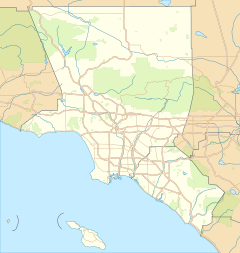 Ranchos of Los Angeles County, California – Spanish & Mexican land grant ranchos. ^ a b "Hancock Park". Office of Historic Preservation, California State Parks. Retrieved 2012-10-07. ^ Arcadia Publishing: "La Brea Tar Pits and Hancock Park" . accessed 21 June 2014. ^ LA County Supervisor Zev Yaroslavsky's Blog: Hancock Park—"Magic in the muck" . accessed 21 June 2014. ^ "Died". Time magazine. June 11, 1965. Retrieved 2010-03-27. George Allen Hancock, 89, California oilman and philanthropist, who inherited a 3,000-acre ranch in 1883, discovered the famed La Brea tar pits full of prehistoric remains while digging for oil (which he also found), made a fortune from his wells and the sale of property for what is now Los Angeles' Wilshire district, later gave $7,000,000 to the University of Southern California; of a heart attack; in Santa Maria, Calif.
^ "Orcutt Ranch Horticultural Center Rancho Sombra del Roble". Los Angeles Department of Recreation and Parks. Retrieved September 23, 2012. ^ "Research at Rancho La Brea". Los Angeles County Museum of Natural History. Retrieved September 23, 2012. This page was last edited on 22 April 2018, at 18:18 (UTC).